South Suburban Savings: GONE! 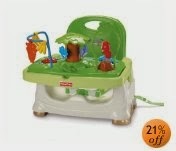 Get $20 Off When You Spend $60 on Select Fisher Price Items!! LOTS of Popular Items Included!! GONE! 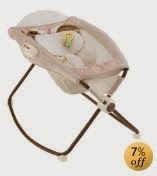 Get $20 Off When You Spend $60 on Select Fisher Price Items!! LOTS of Popular Items Included!! I see SO MANY POPULAR Fisher Price products...and several personal faves, including the Fisher-Price Bath Center, the Froggy Potty, Deluxe Newborn Vibrating Rock n' Play Sleeper (my favorite baby item in the whole wide world), and the Rainforest Healthy Care Booster Seat!! So many more items to see...you gotta check it out!